Just a quick post to share some augmented reality resources I assembled using Trailmeme. To access these resources, click this link. A map or trail of what you’ll find is shown below. 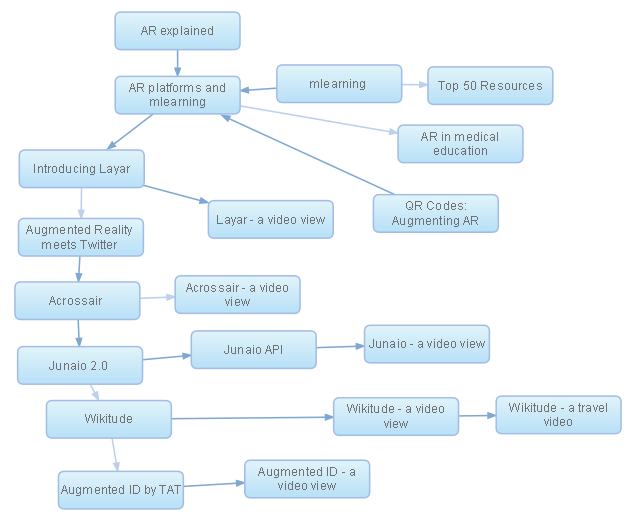 This entry was posted in augmented reality and tagged acrossair, AR, AR resources, AR_smartphones, augmented ID, augmented reality, junaio, layar, mlearning, mobile learning, mobile_AR, QR codes, TAT, trailmeme, wikitude. Bookmark the permalink. awesome article i like it. its more about mobile learning.